The real history of Christmas is considered both a religious and cultural holiday, that is celebrated around the world on the 25th of December. Since 1870, Christmas has been considered a federal holiday in the United States, and various other places around the world. Christmas has been celebrated for over a thousand years in various cultures around the world. These celebrations include traditions and practices that have been passed from generation to generation. 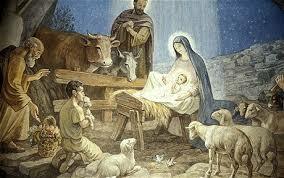 For Christians, Christmas celebrates the assumed birth day of Jesus of Nazareth. Jesus as a spiritual leader who many perceived as the Son of God. Most of the New Testament is derived from Jesus’ teachings. In other cultures, different figures are recognized such as St. Nickolas. Regardless of your religious or spiritual beliefs, many parts of Christmas stay the same. During the Christmas season, families will come together to exchange gifts and admire the expertly decorated Christmas tree. They cook and enjoy elaborate meals and spread good cheer. Long before Jesus was ever heard of, cultures around the world were celebrating the winter solstice. Many people would celebrate birth and light during the darkest days of winter. Winter solstice was celebrated as a time where the worst part of winter had passed and the days were lengthening and spring would soon arrive. Scandinavia is the birthplace of Yule. The Norse celebrated Yule from the 21st of December to the beginning of January. They did this to recognize the return of the sun. Fathers and sons would venture out into the woods and bring home the largest logs they could find to set fire to. Then the families would feast until the log burned out, which would take days. The Norse believed that every spark that came from the fire during this time represented new livestock being born. The more sparks that came from the wood, the better the livestock supply for the upcoming year. Germany during ancient times, worshiped Oden. 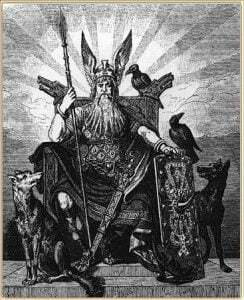 Oden was a terrible and fierce god and the Germans were terrified of him. They believed he had the ability to possess animals or that he would send his ravens out to observe the people to determine who should prosper and who should perish. It is widely believed this is where people picked up the notion that good behavior around Christmas would benefit them most than bad behavior. Christmas isn’t a 100% Christian holiday. Like with many holidays, Christmas is a melting pot of different cultural beliefs and traditions. 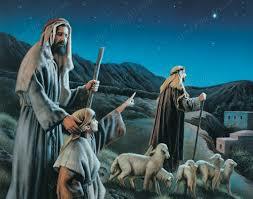 Christmas was taken over by Christians in the fourth century. Before this time, Easter was the main Christian holiday as it represented the resurrection of Jesus Christ. Fourth century, church officials wanted to institute a holiday that represented the birth of Jesus. Regrettably, the Bible never actually mentions the day that Jesus was born. Even though most evidence points to a spring birthday, such as shepherds don’t herd sheep in the middle of winter, Pope Julius I decided that the official birthday of Jesus Christ would the 25th of December. It is believed that this date was chosen in order to better absorb and adapt existing traditions associated with pagan festivals at this time. The holiday of Christmas spread to Egypt during 432, and England at the end of the 6th century. Anywhere that Christianity touched, Christmas was soon to follow.